The viciously funny novel by John Niven, bestselling author of Kill Your Friends and Straight White Male . What do you do when a homeless man knows your name? How about when he turns out to be a friend you haven’t seen in twenty years? Do you treat him to a hot meal and see him on his way? Give him a wad of middle-class guilt money? Or take him in and get him back on his feet? The viciously funny novel by John Niven, bestselling author of Kill Your Friends and Straight White Male. For Alan, there’s no question – only natural that he’d want to see his old mate Craig off the streets, even if only for a few nights, and into some clean clothes. But what if the successful life you’ve made for yourself – good job, happy marriage, lovely kids, grand Victorian house (you did well out of the property boom, thank you very much) – is one that that your old pal would quite like to have too? Even if it means taking it from you? 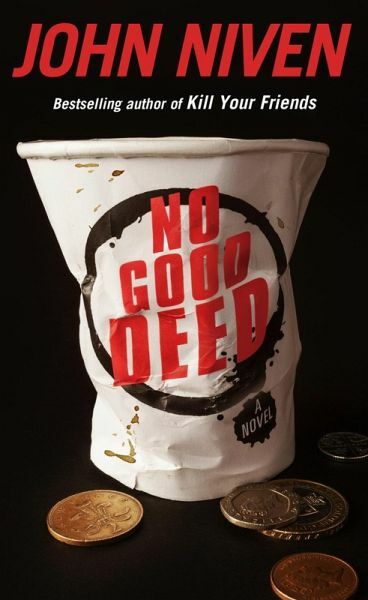 Following the divergent lives of two childhood friends, No Good Deed is a funny and painful examination of friendship, the strange currents of ambition, loathing, pity and affection that flow between people over the decades, and of men getting older as they fail and succeed. "Niven is a master at probing dark, uncomfortable areas of the male psyche that most novelists – indeed, most men – would rather not have to deal with."